One of the most commonly feared dental procedures, root canals are often one of the least understood. Root canals are not dangerous or painful. Instead, a root canal from Total Dental Care in Pekin is a safe, effective and relatively pain-free dental procedure that is commonly used to repair or save a badly infected or decayed tooth. Teeth can become badly damaged or decayed in a variety of ways. For example, repeated dental procedures, faulty crowns, deep decay, tooth trauma and cracks and chips can all cause a tooth to become internally infected or decayed. Once this happens, the infected material must be cleaned out in order to prevent further problems, such as bone loss, swelling and draining problems. This is done through a root canal. During a root canal at Total Dental Care in Pekin, a dentist will use a special instrument to go in through the top (crown) of the tooth to clean out the tooth root and to remove any damaged, decayed or inflamed tissue. Once the infection is gone, the dentist will then fill in the area to help prevent further infection. The tooth is then covered with a filling or crown. While the pulp of a tooth is important in helping the tooth grow, once the tooth has reached maturity, it is not necessary anymore. This is why your Pekin dentist at Total Dental Care can remove it without further damaging the tooth. Once the tooth has matured, it is nourished by the surrounding tissues instead of the pulp. While many people are fearful of root canals, there really is no reason to be. The procedure is quite simple, and the doctors at Total Dental Care in Pekin have done the procedure several times. Furthermore, the process isn't painful. With today's modern anesthesia options, root canals are no more painful than having a filling placed. Root canals don't cause pain; they relieve the pain you already have. If your tooth is damaged or decayed, a root canal will fix that. 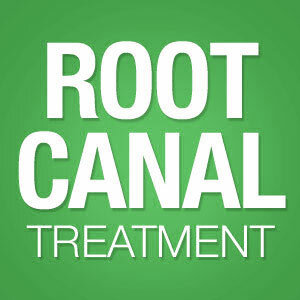 Call Total Dental Care in Pekin and set up your appointment for a root canal today.